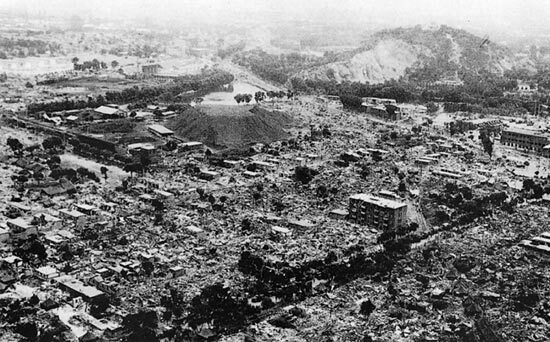 This disaster became the deadliest earthquake of the twentieth century and the second deadliest one for the whole history of the humanity. According to the official information, about 240,000 people were killed and about 170,000 injured. However, many specialists are convinced that the Chinese government has deliberately lowered the number of victims. At that, after the earthquake 90% of the city was destroyed and an area of about 4-5 miles around the epicenter was completely devastated. It is possible to name several reasons for the high loss of human life. First of all, the earthquake occurred in one of the most heavily populated industrial regions of China. Besides, the disaster happened in the early morning, that’s why the majority of the people where asleep and unprepared. Also, there was no public attention paid on warning signs and abnormal signals indicating possible upcoming earthquake. Finally, since the region was not in a highly seismic zone, the majority of the buildings and constructions were designed with no consideration for a proper earthquake resistance.